#BEATMagazineSAAwards: Update, for everyone who still want o submit entries for the awards there is still time until the 30th of April. Get an entry form at Guild Theatre and fill it then submit before the closing date. 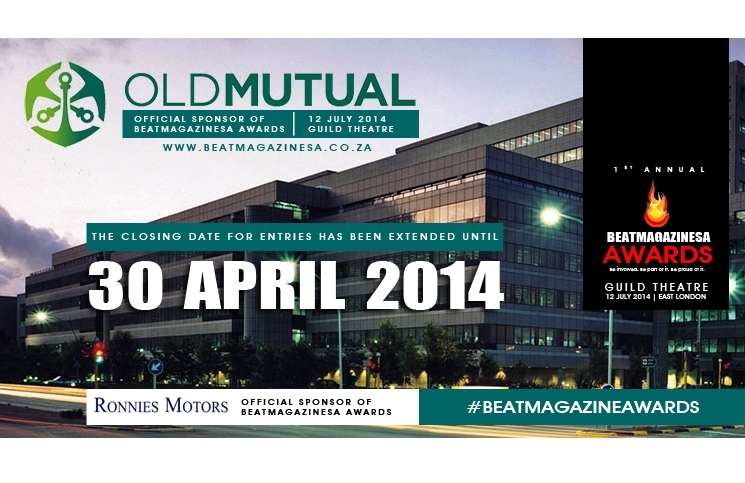 BEATMagazineSA Awards are proudly sponsored by Old Mutual and Ronnies Motors in partnership with Guild Theatre.